Fritz Lang's classic 1927 film Metropolis has justifiably become an icon for the complexities of Weimar culture. 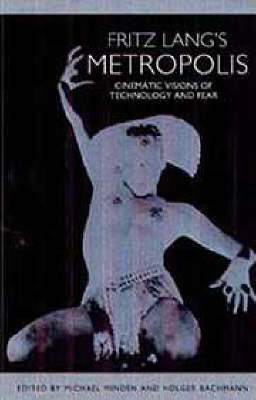 Among the important general issues it also raises are the relation between ideology and art, the status and authorship of the film text in the entertainment market, the city, the construction of gender, the relation between the human body and the machine in modernity, and the relation between mass and high culture. This volume provides a broad range of materials and resources for the study of Lang's film, including both well-known, previously published critical essays and contributions appearing for the first time here. The editors provide a two-part introduction that furnishes context for what follows: Bachmann's part deals with the genesis, production, and contemporary reception of the film, while Minden's defines the problems posed by the text and reviews thesolutions to these problems as proposed by later generations of critics.The first part of the book proper includes selected contemporaryreviews, commentary by Fritz Lang and others involved in the making ofthe film, and extracts from Thea von Harbou's original novel. In the second part, eight modern scholars provide fresh essays on the genesis, promotion, and reception of the film. Approximately half of the material in the volume has never before appeared in print. The volume will appealto students of German, film, cultural and intellectual history, and social theory. Michael Minden is University Lecturer in German at Cambridge University and a fellow of Jesus College. Holger Bachmann received his Ph.D. from Cambridge on Arthur Schnitzler and film.